Thanks to Anti-vibration you’ll barely know it’s there! 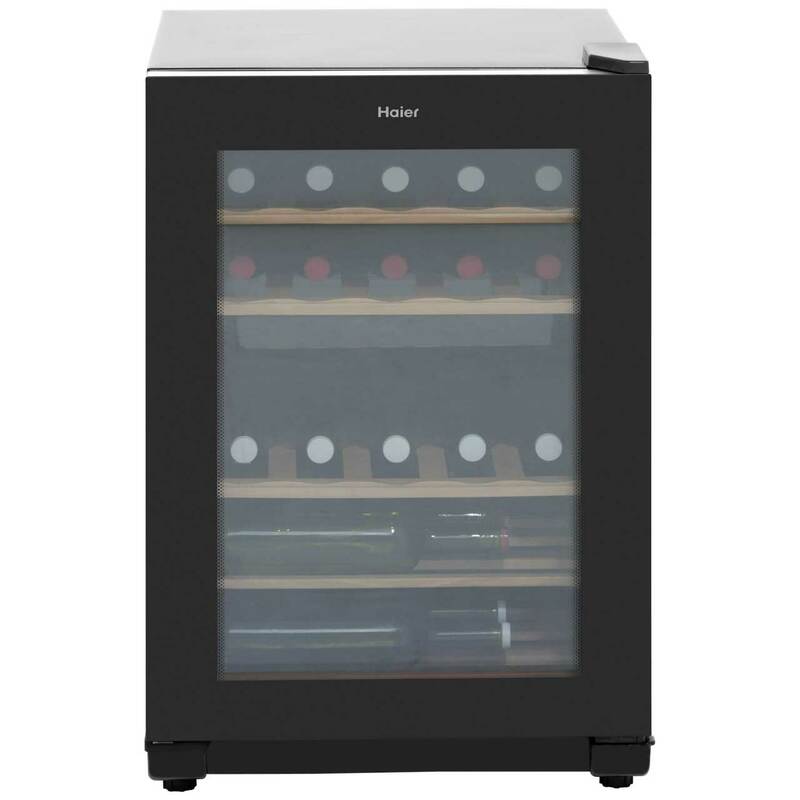 Thanks to its innovative anti-vibration design, this Haier wine cooler will stay nice and still, so you won’t be hearing the bottles inside clinking together! 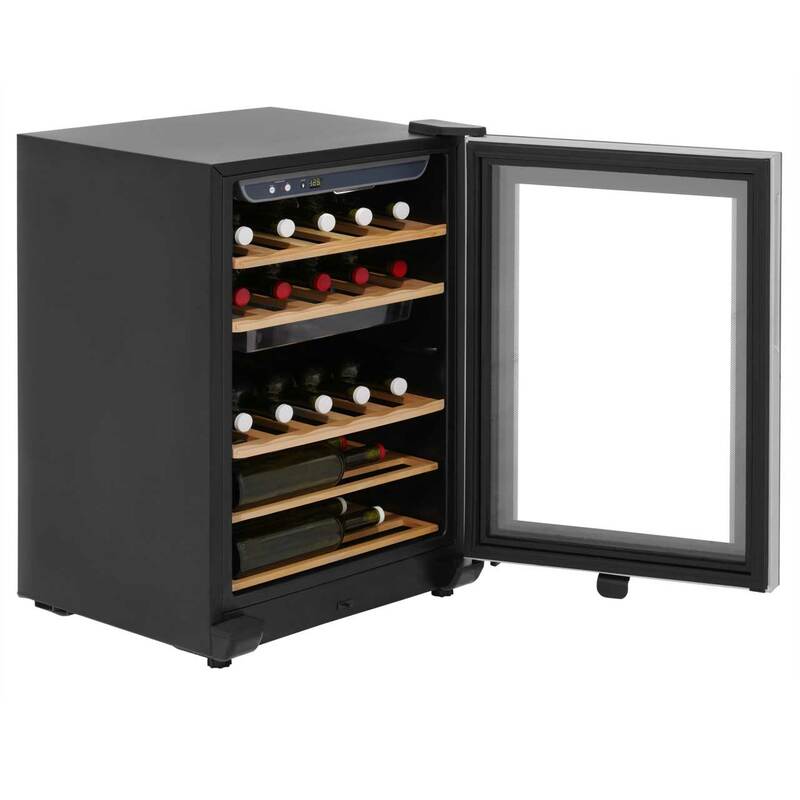 It also has an Anti-UV glass door, which protects your wine from losing its colour and taste. 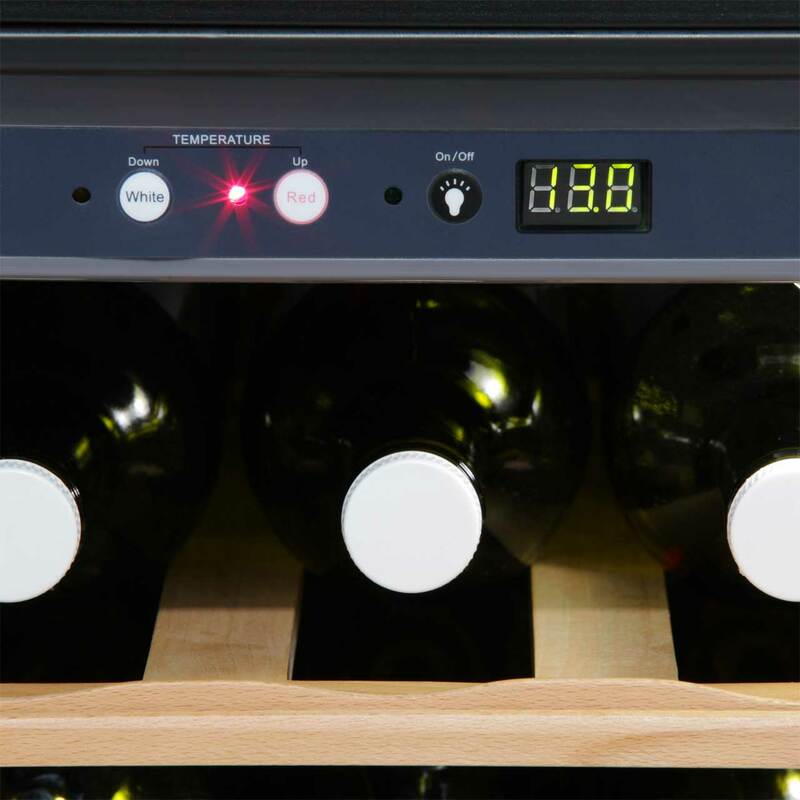 With 5 wooden shelves inside, there’s room for up to 25 bottles – which is perfect if you’re a bit of a wine connoisseur. 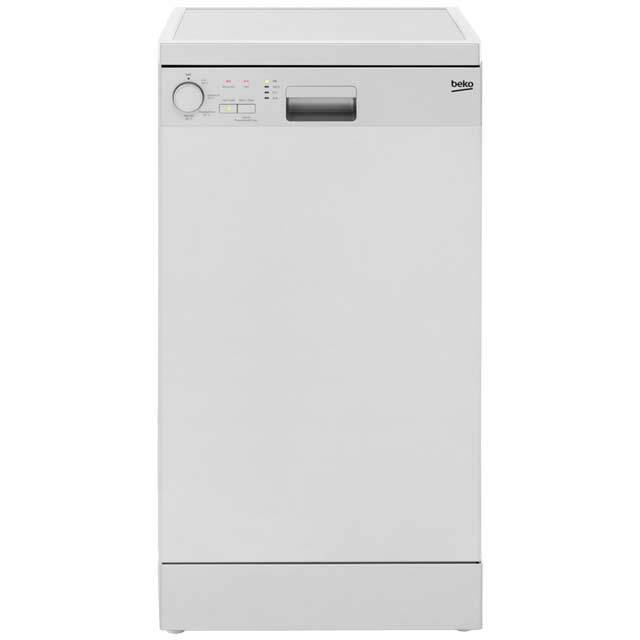 It comes with a 1 year warranty as standard, which can be extended to 2 years by simply registering the product with Haier within the first 28 days of purchase. "The unit looks fine especially with the wooden racks. We have set it to 10C and white wine tastes better at this temperature than straight out of the fridge. A good size as well, you can stack loads of little beer bottles on one rack. Have only had it one week but no cons so far. Would definitely recommend!" 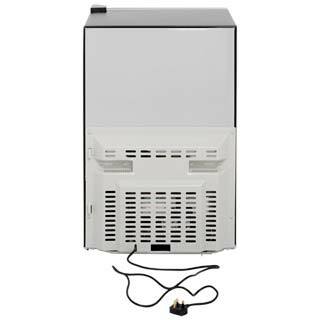 "Quality of item was much higher than I expected. The wooden shelves are excellent, and I am really impressed by them." 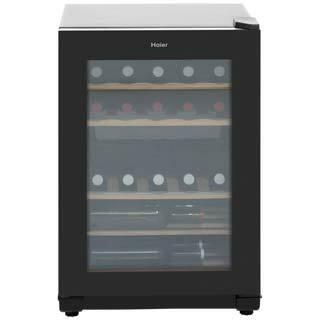 "The wine cooler arrived early in the morning on the selected date of delivery, which was perfect. Able to change settings between white/red wine. Fridge lights up when you open the door, but otherwise has the light off, which is great for saving energy and not being too distracting in our living room. 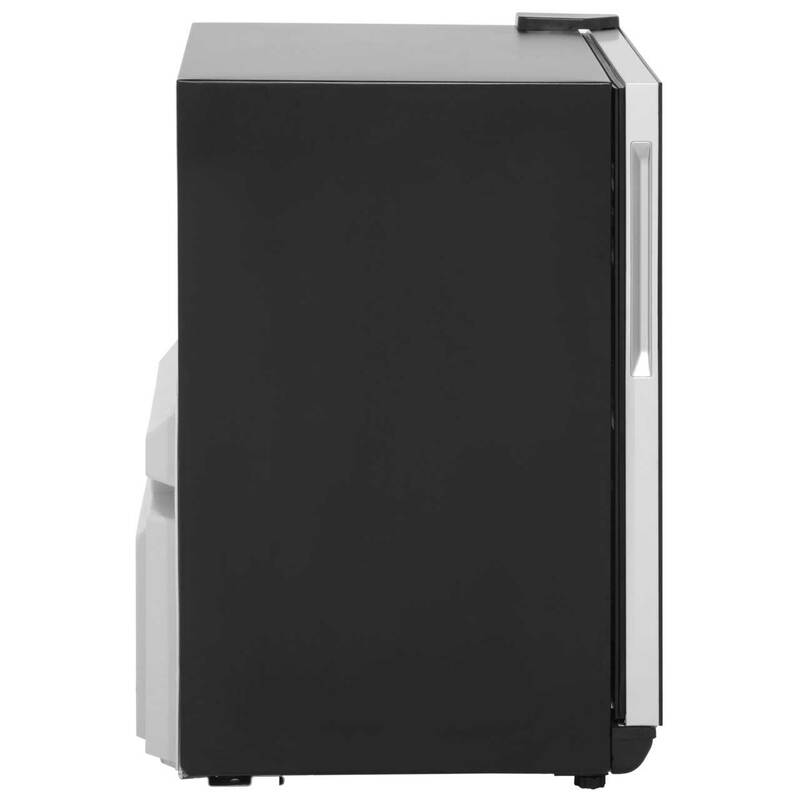 Fridge is fairly quiet, and only makes noise when it needs to cool down/adjust the temperature, and once desired temperature is reached, the fridge is silent, not a distraction at all in the living room. "Very happy with our wine chiller. Excellent quality. We already had a fridge of the same brand so knew the make. Definitely recommend." "Nice cooler chills your wine and beer nicely, can be a little noisy when running but overall I can't complain. 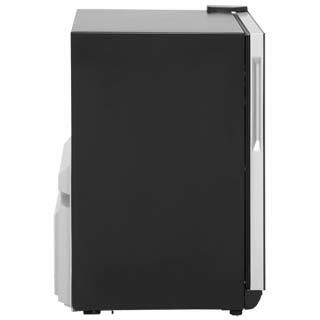 Very cost effective when compared to other coolers and looks nice as well. " "Really nice cooler, keeps my beer and wine at the perfect temperature. 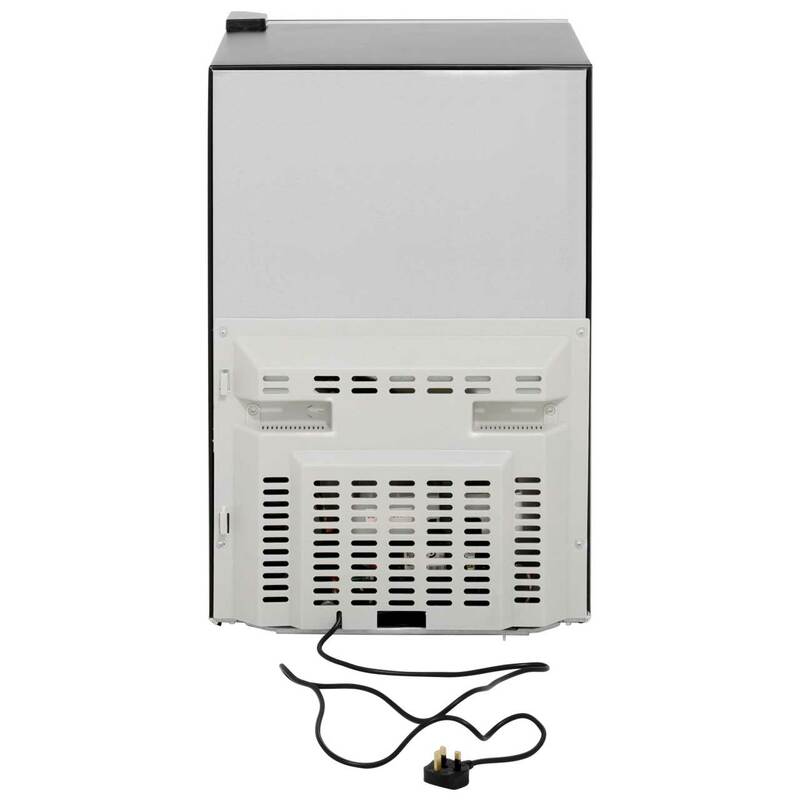 The shelves are removable so can be configured to suit whatever you're cooling. Good product at a good price."